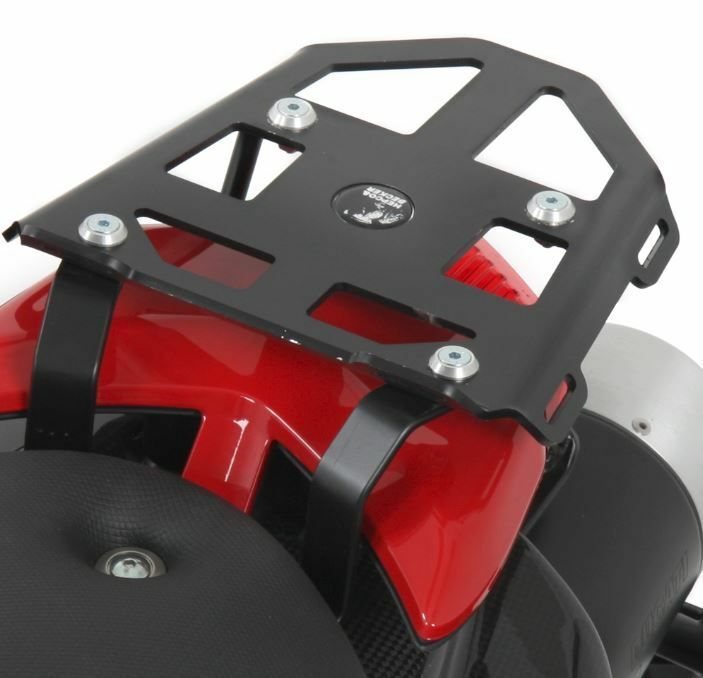 Hepco & Becker produces a slim and lightweight luggage mount for the back of your Hypermotard. This minirack is made from aircraft grade aluminum and has a perfectly symmetrical shape to it, making it simple to strap luggage down to it. The mount has a black powder coat finish to it that attaches to the frames of the Hypermotard. The minirack comes with a hardware kit that provides the rider with everything needed to install it. Take a look at the minirack here!